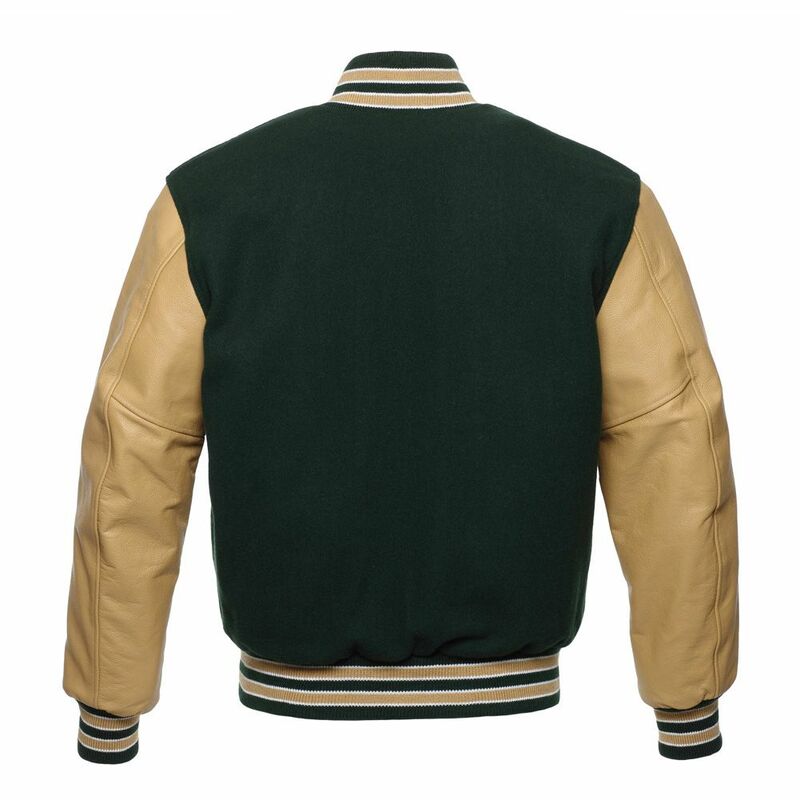 The iconic American forest green and tan letterman jacket, made of 24 ounce forest green wool body with tan cowhide leather sleeves. 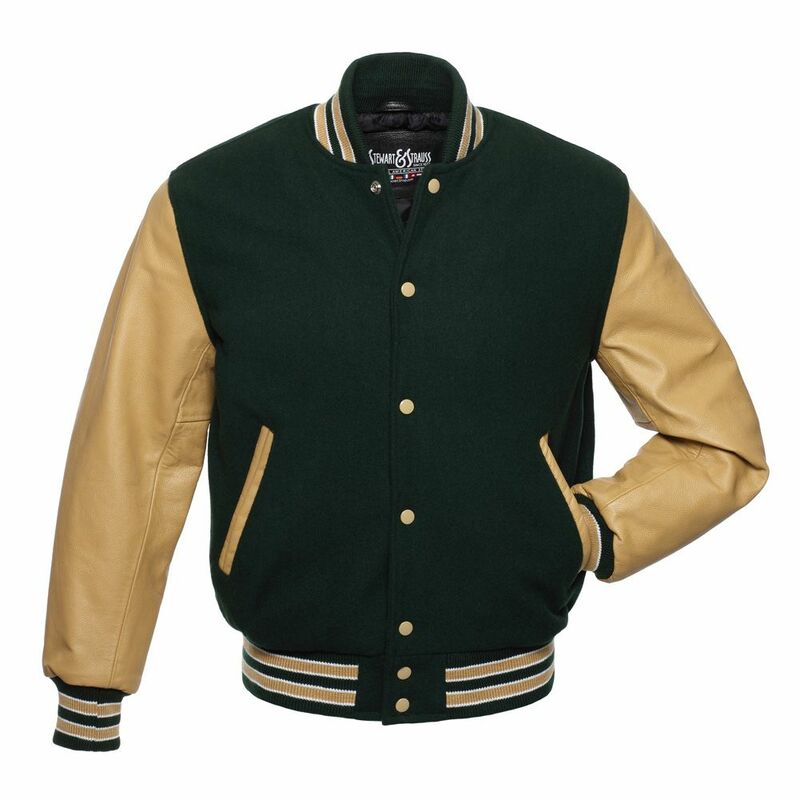 Stewart & Strauss letterman jackets are a must for every baseball player, soccer player, band member, field hockey player, cyclist, track and field athlete, drama student, tennis player, wrestler, student cheerleader, swimmer, band member, softball player, polo player, football player, cross country runner, scholar, volleyball player, bowler, golfer or table tennis player. 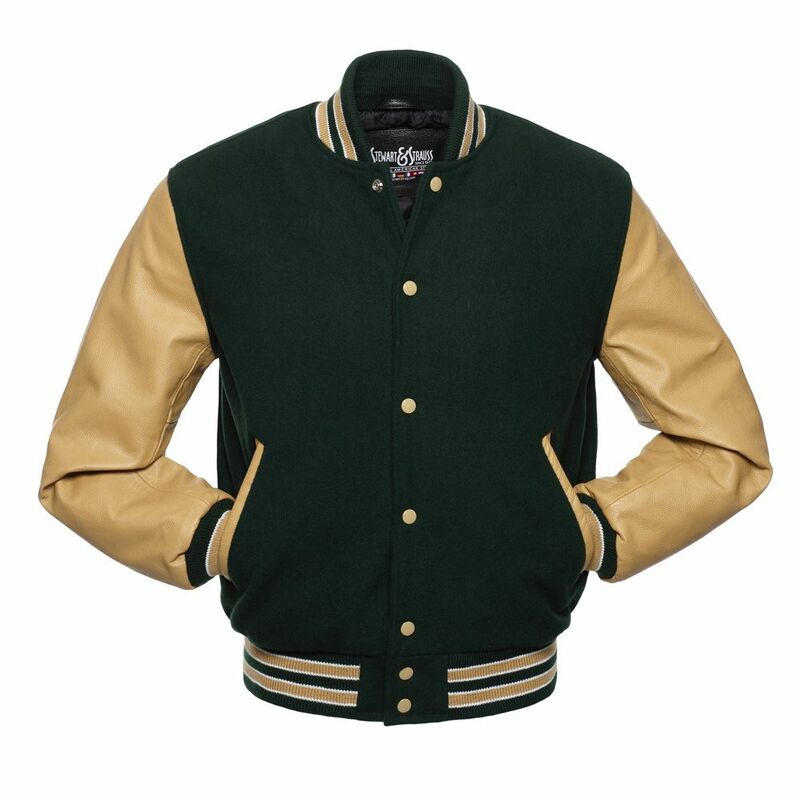 "I got this awesome jacket, representing my company Barends Training. 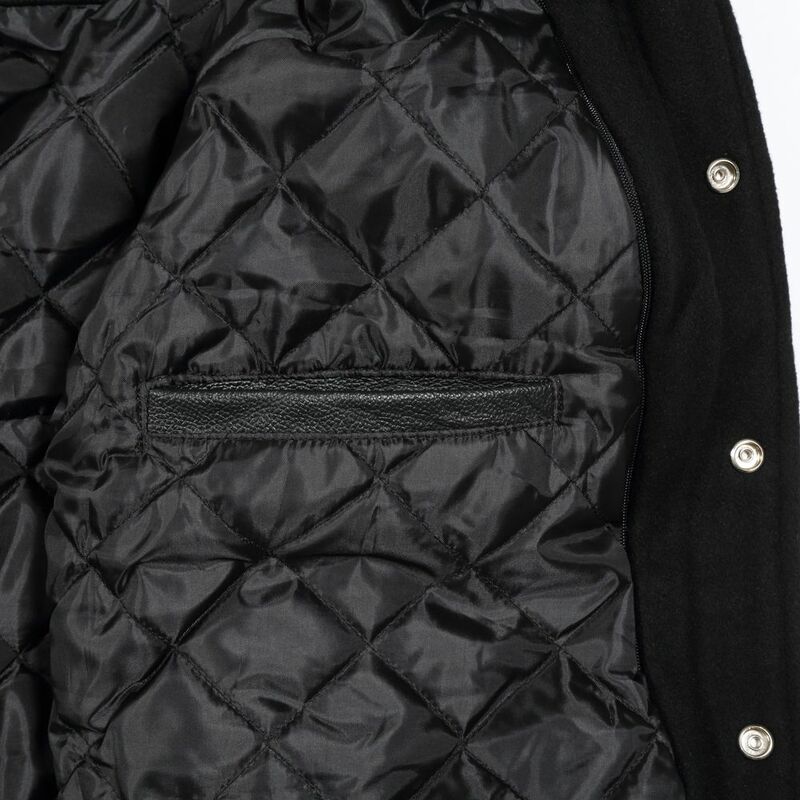 Thank you Stewart & Strauss."